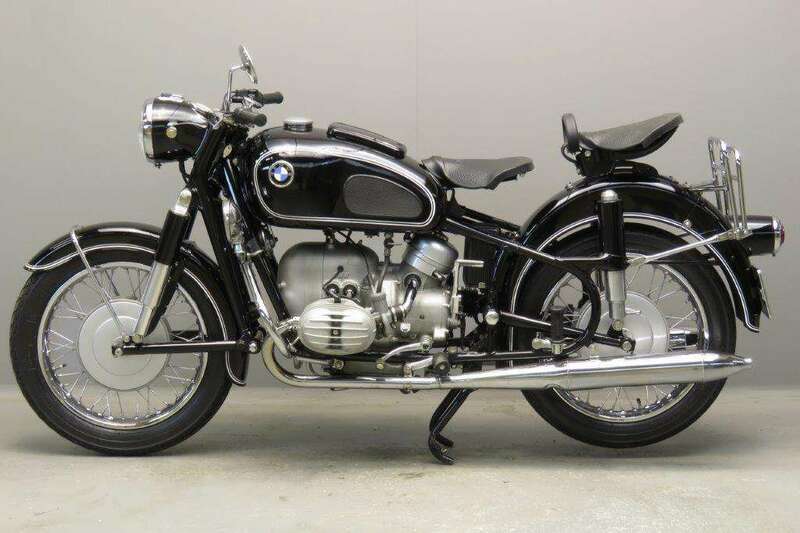 BMWs line of horizontally opposed shaft drive flat twins were the cycles of choice for many motorcycle tourers. 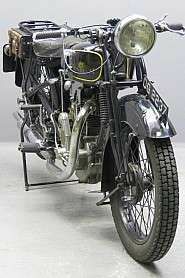 The design provided an inherently smooth-running cycle and the German engineering made it reliable. 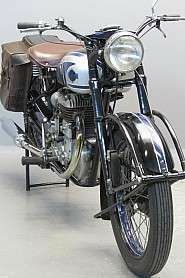 This R60 model lasted from 1955 to 1969. 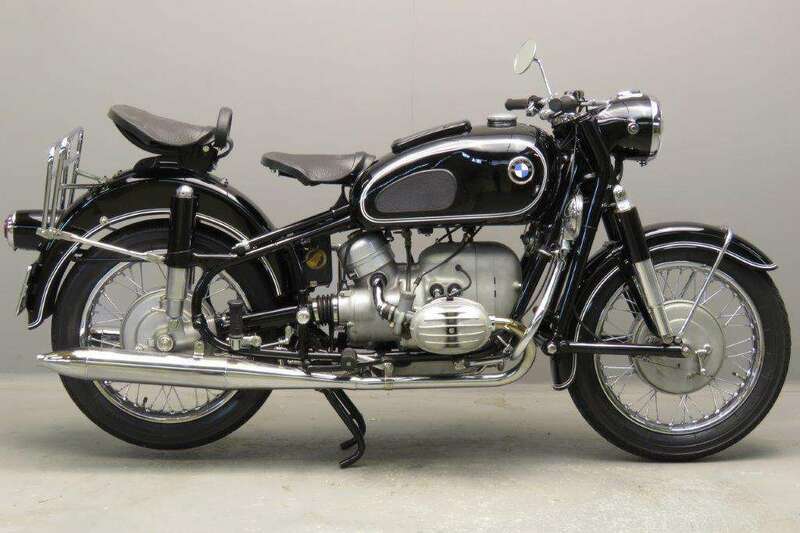 At the end of 1954, BMW dropped its existing trio of flat twins - the R51/3, R67/2 and R68 - replacing them with the BMW R50 and BMW R69. 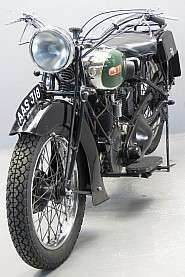 The engines were little altered, significant changes being concentrated on the frame and cycle parts. 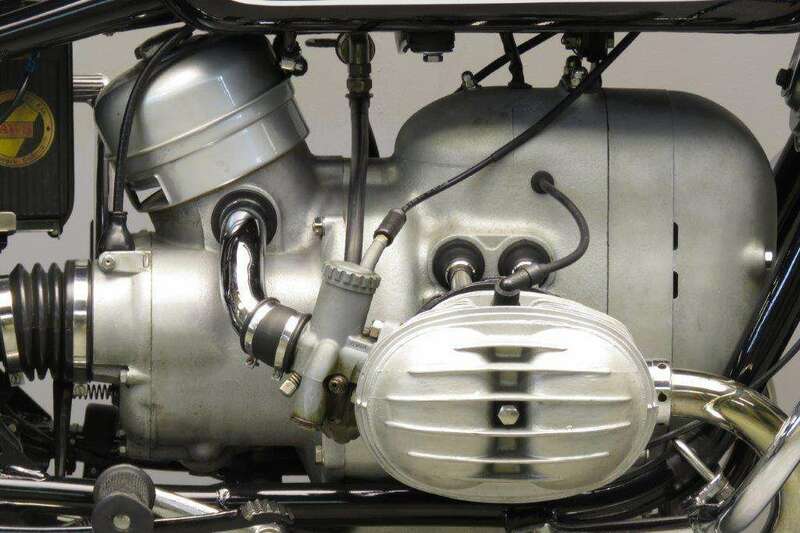 In 1960 the flat-twins range was revised as the '/2', most of the changes being inside the engine which received a strengthened crankcase and crankshaft, hard-chromed piston rings, improved internal ventilation, new cam followers and a stronger clutch assembly. 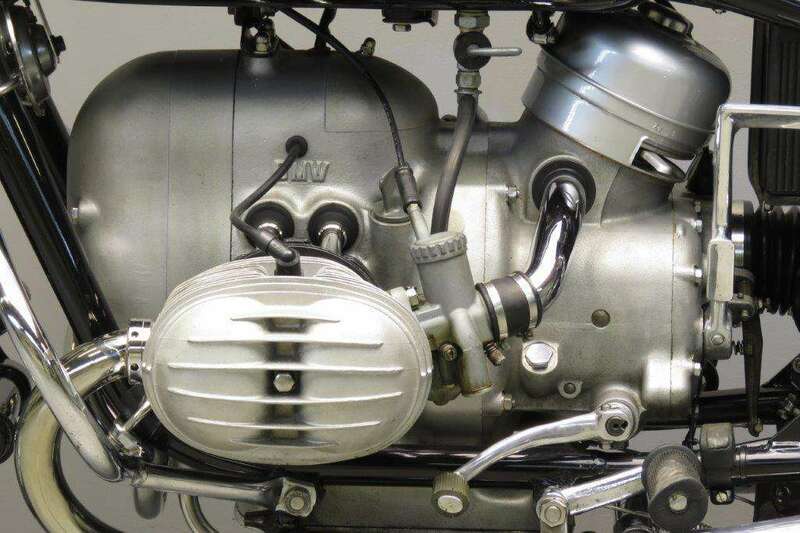 The R60/2's compression ratio went up from 6.5:1 to 7.5:1, boosting peak power to 30PS (29.6hp SAE). 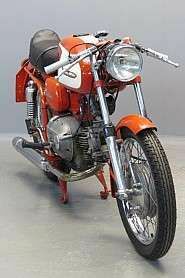 Towards the end of production a Ceriani BMW telescopic front fork is fitted to the machine. 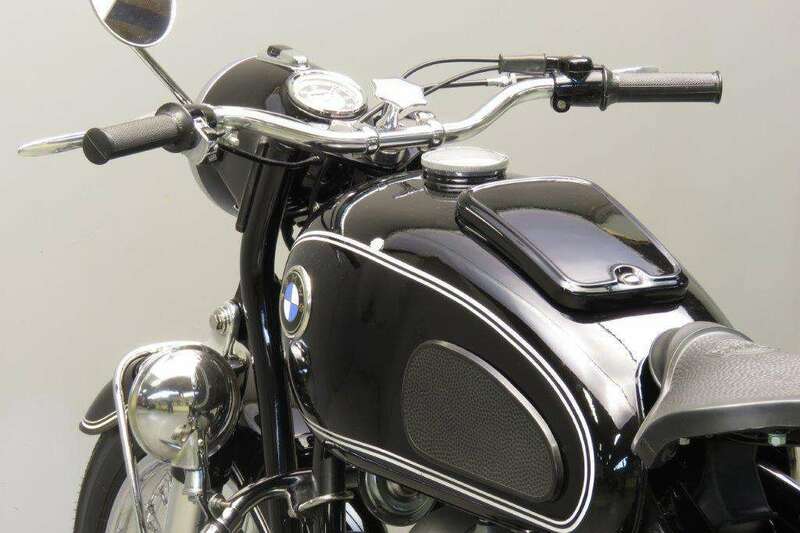 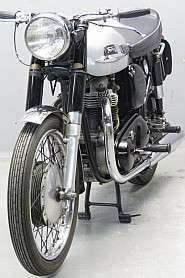 Numerous accessories were available for the BMW line from a wide variety of suppliers, both through the factory and after market, as befitting a touring motorcycle that riders wanted to modify to their particular tastes. 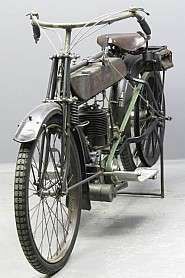 A variety of seats were available, from the old-fashioned dual-saddle Pagusa seats to wide two-person bench seats for long-distance travels. 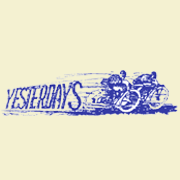 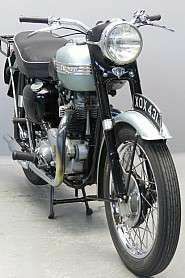 Other accessories included large-capacity gas tanks, fairings, mirrors, tachometers, spot lamps, and turn signals mounted on the handlebar ends.